Driving from Bytom towards Strzelce Opolskie down the road no 94 after covering around 13 km, in Karchowice, you have to turn right to Kamieniec. There you should drive straight ahead all the way long down the main road. At the intersection with the "Stop" traffic sign, the palace is observable on the left side of the road, but the gateway is in the other place. You have to drive a bit straight on and turn left to Wielowieś, and then in the forest turn left again into an old gate. An uneven road lead straight to the palace. 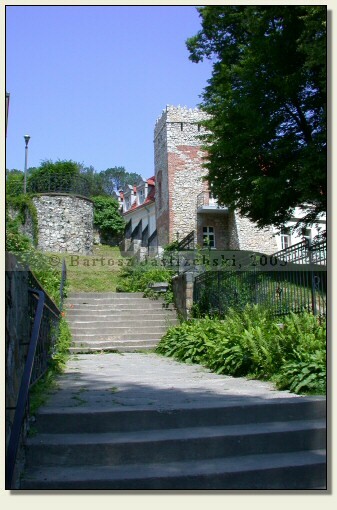 According to legends, in the place of a current palace in Kamieniec there existed before ages a castle built by the Templar knights, who stashed away their treasures in it. These Tales did not find a scientific confirmation, however it is known that in the XVIth cent. came into being a Renaissance castle in this site, which the family of Kokorz constructed in the place of a former building. In the XVIIIth cent. the castle was transformed into the palace on the initiative of the previous owner – Martin Scholtz von Löwenckron. In the following centuries the building was often changing its hands, who converted it at their own discretion. 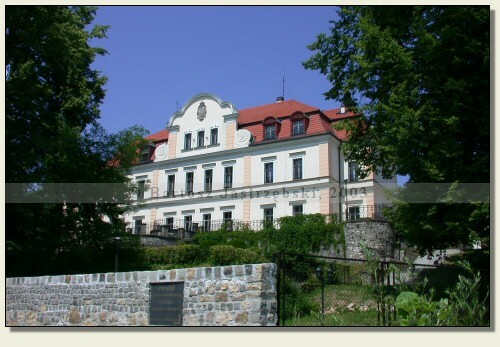 The last owners of the palace was the Stolberg line, who in 1944 were deprived of the lands along with the monument. The palace then came into the ownership of the Polish state.